Eating healthy is one of the primary things you need to do to have a healthy lifestyle. It has always been an advantage that when you’re in a healthy diet, it provides your body with a lot of health benefits. 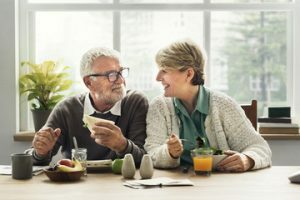 There are some health benefits when you’re on a healthy diet, such as keeping your body active and healthy, reducing your risk of having several chronic diseases, and other complications. However, not all foods can lead to a healthy body as sometimes it can be overwhelming and can lead to not consuming anything. Proper nutrition and a healthy diet are the keys to a healthy life. You can improve your health by creating a work out regimen and a balanced diet. There are ways to improve your overall health, and these include the food you eat, your daily workout, and the nutrition you intake. Most of the food you eat consists of starchy carbohydrates. They include bread, rice, cereals, pasta, and potatoes. You need to eat whole grain varieties of food, for example when you’re eating potato, leave the skin on as they contain more fibre and can make you feel full a little longer. You should eat more starchy foods and try to include one in every meal you take. 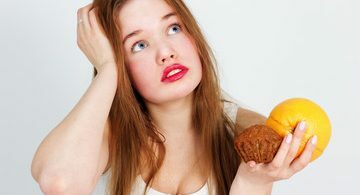 Some people, especially those who are on a diet think that starchy food can add fat to your body. Hence, they avoid eating starchy food. But when you control your carb intake, it can give your body the nutrients it needed. If you consume gram for gram, it provides half the calories of fat. Always keep in mind the fats you add when you’re cooking for your meal as that’s the primary reason why the calorie content increases. The fatty ingredients such as butter, creamy sauces, and oil would make your body unhealthy and would probably increase the fats your body is producing. You can find out some simple low carbs recipes that you can try at home. It’s without a doubt that sugary drinks are the most fattening things you can intake. That’s why people who are on a diet prefer drinking zero sugar content drinks. The primary reason is that when you intake liquid sugar calories, you end up eating most of the total calories. These drinks include carbonated soft drinks, soda, sports drinks, and powdered drinks. If compared to the calories from the food, liquid sugar calories have different effects in the brain and not as much as from solid foods. Sugary drinks are one of the primary cause of obesity, which can lead to type two diabetes, heart disease, and any other health problems. There are so many other health benefits of lowering sugar intake you should know. Always keep in mind that fruit juices consist of a lot of sugar calories and almost as bad as soda. It contains times two or times three of the sugar you get from solid food. Also, small amounts of antioxidants from our body don’t or can’t negate the harmful effects that a large volume of sugar content can do to our body. The kitchen can play a vital role in your healthy routine. Most homeowners believe that a good kitchen can lead to a healthy environment inside the house. If you have an outdated kitchen, maybe it’s time to upgrade your kitchen if you don’t have any idea how you can look up to any home improvement companies in your place or home renovations Melbourne. 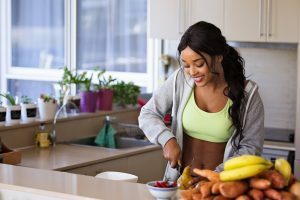 If you want to have a healthy body, try to make cooking a habit. When you prepare your meals at home, you can’t just save your money, but you can also control what you’re going to eat. By preparing your food, you’ll exactly know what ingredients you shouldn’t put. You won’t have to worry about any ingredients that you think has high-calorie content. One good thing about cooking in your home is that you can prepare large servings to ensure you have something healthy to eat on the next day. Researchers said that cooking at home reduces the risk of obesity, especially among children. Calcium and iron are two of the many nutrients your immune system needs to have a healthy body. Calcium is the primary nutrient behind healthy and strong bones. For your muscles and heart to function properly and healthily, you need an amount of calcium that could help your body build a healthy immune system. Studies suggest that calcium with vitamin D have excellent benefits further than bone health. It may affect such as protecting your body from cancer and diabetes. Also, a proper amount of calcium in your body can lower the risk of high blood pressure. On the other hand, iron plays a vital role in carrying oxygen from red blood cells to transport to your body. Therefore, calcium is essential for girls and infant, especially to pregnant women. Iron, on the other hand, is necessary to vegetarians and athletes as it can reduce the risk of anaemia. Fruits and vegetables are both primary sources of nutrients that could make your body healthy. Most health enthusiasts recommend that you eat at least five portions of different kinds of fruit and vegetables daily. You may think it’s easy, but you need to discipline yourself and control your food intake. If you’re fond of eating cereal for your breakfast, why not combine it with a fresh banana and change your midnight snack from chips to fruits. Also, it’s better to have an unsweetened 100% fruit juice, than having powdered extract. It’s also effective to drink healthy vegetable juice for your morning routine. 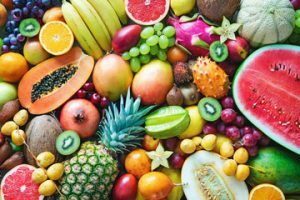 Studies show that people who eat vegetables and fruits for their meals live longer, and have a healthy immune system which lowers the risks of many diseases such as diabetes and heart diseases. To acquire good health is not as easy as it sounds. There are a lot of factors and ways you need to learn, remember, and keep in mind. But the two primary and effective factors is to have a balanced diet and your work out regularly. These two habits could greatly contribute to your overall health. Set realistic fitness goals, even if it’s small or big, what’s important is having an active and healthy life.